If you've got the winter blues and are craving sunny days and long, languid walks don't despair. Spring is just around the corner. And here are some of our favourite springtime walking and trekking holidays to inspire your holiday planning. 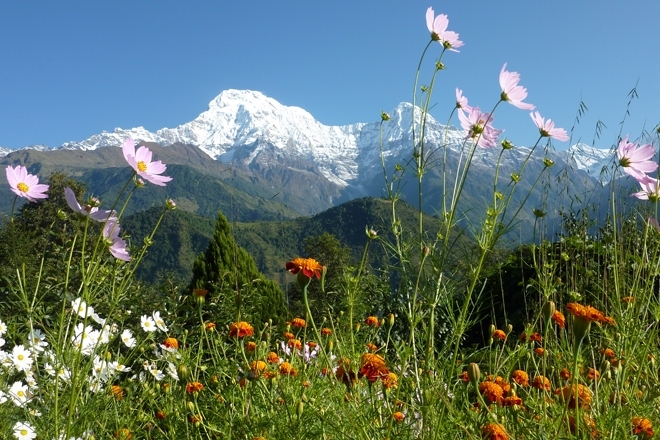 The spring months are prime time for trekking in the Annapurnas due to the warm sunshine, emerald green rice terraces and trails lined with a colourful profusion of rhododendron and marigolds. And there’s no better way to first experience the magnificent Annapurnas then by trekking between luxury lodges on gentle trails that showcase the stunning Himalayan scenery. Late spring is one of the best months to visit Japan as it’s warm and sunny in most of the country but not as hot, rainy or humid as in the summertime. In fact, it’s just delightful for trekking and seeing the sights. The cooler hills of the Kiso Peninsula with their ancient, sacred trails and the fascinating centres of Kyoto and Nara provide a wonderful range of contrasts in a country that is once again proving very popular. 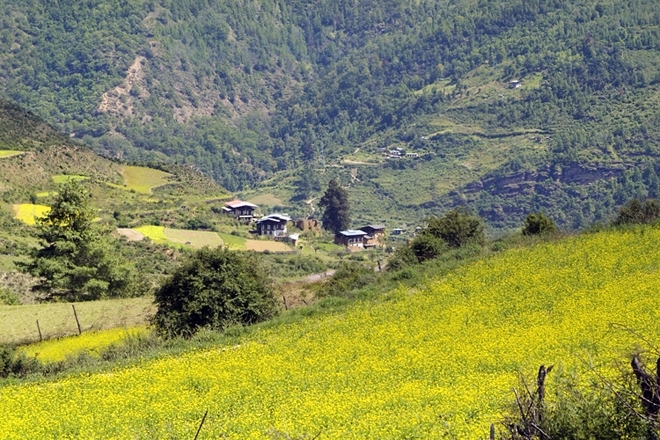 As with much of the Himalaya, springtime is one of the best times of the year to visit Bhutan when it’s not too cold or deluged by monsoon rains. With walks in the Paro and Phobjika valleys and an unusual overnight trek to reach Taktsang Monastery it’s good to have the weather on your side. You’ll also spend three nights in a farmhouse homestay for a privileged insight into how the Bhutanese people live their daily lives. Spring and autumn are the ideal time for trekking in the high Himalaya as this is the dry season. Prior to the arrival of the monsoon in June, spring days can bring warm sunshine, colourful wild flowers and good mountain views. Nights will be chilly though, even in the spring, but by staying in first rate trekking lodges you’ll be toasty and warm as you trek all the way to Everest Base Camp. Late spring brings a kaleidoscope of colour to the Alpine meadows of the Clarée Valley. Not only are the wildflowers that carpet the landscape at their stunning best, but they’re also a magnet for a myriad of beautiful butterflies. Walking in the pristine mountains surrounding the valley is a pure delight with each day revealing new paths, new vistas and rewarding new experiences. Montenegro experiences bitterly cold winters and very hot summers – neither of which are good for walking. By contrast, the weather in June is ideal; comfortably warm and relatively dry in the mountains and not too hot at lower levels. The summertime crowds have also yet to arrive and you’ll often find the walking paths and national parks deserted in the late spring. It’s simply the best time to enjoy the many natural and historic treasures of this beguiling European destination. 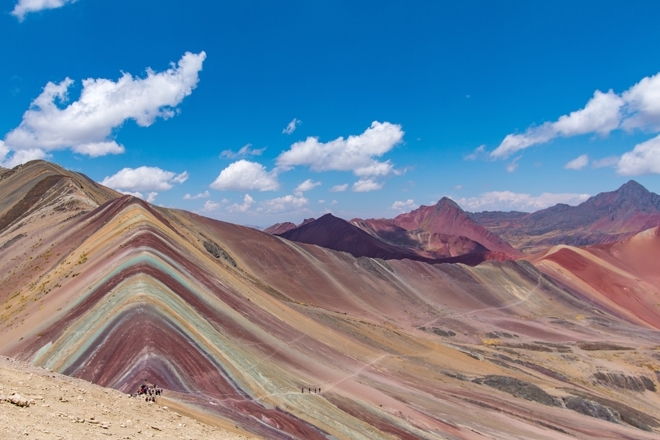 You need the snow to be off the trail to fully appreciate the technicolour natural wonder that is Rainbow Mountain. Painted with vivid stripes of gold, green, maroon and purple it is a dazzling sight and well worth the hard trekking to get there. Staying in local eco lodges, the trek to Rainbow Mountain combines with a trek on the Salakantay Trail, and, along with time at Machu Picchu, this is the perfect way to take in Peru’s great trekking highlights. Walking the fascinating route from Camino del Norte to Santiago de Compostela is best done during the spring months as the temperature will be warm but not too hot for walking.The trail will also be a lot quieter than the busy summer months meaning that overcrowding won’t be an issue.The Camino del Norte has the benefit of being more peaceful than the alternative pilgrimage route to Santiago - the Camino de Frances, yet still offers excellent food and accommodation and is a fabulous trekking experience. With its searingly hot and crowded summers, the Croatian coast is best avoided in peak season between June and August. In spring though it’s a gloriously enticing place. Island trails are shaded by pine forests and olive groves whilst the crystal blue seas glisten in the sunshine and provide a cooling dip at the end of the day. Steeped in history and natural beauty there’s no better place to treat yourself to a spring break. June is the beginning of the trekking season in the Karakoram Mountain range. Situated in the rain shadow of the Himalaya, this is the start of the dry season when daytime temperatures are just right for trekking. And what a trek this is! The route follows the mighty Biafo and Godwin-Austen glaciers and passes through Concordia, the aptly named ‘Throne room of the Gods’, before reaching the magnificent base camp of K2, one of the most impressive mountain locations in the world.